Rambo’s way of life took an unusual twist (pardon the pun) in 1994, upon her first visit to Captiva Island. There, while wading in the low surf searching for shells with her soon-to-be husband Clark, the two were playfully jostling for position when his foot stuck in the sand — and he toppled over, breaking his leg. 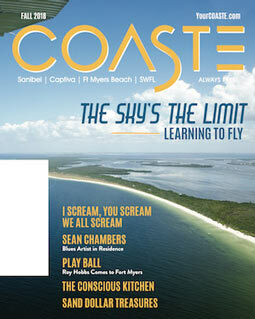 “We had rented a house on Captiva for a month, and he winds up having surgery and a cast. That’s how our love of shelling started,” she laughs today. Following marriage and five years in Miami for his job — interspersed with regular vacations to Sanibel and Captiva — the couple decided to permanently relocate to the islands in 2001. Always an artist and a lover of art, Pam Rambo opened two galleries in three years, selling work that she and others created. 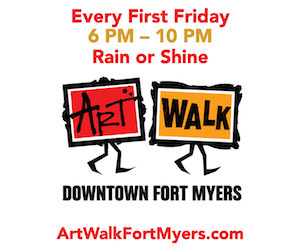 As fate would have it, she sold those galleries four weeks before Hurricane Charlie in 2004. Pam Rambo today is recognized as one of the go-to people for shelling in Southwest Florida — and has been a featured contributor to Good Morning America, the Travel Channel, Peter Greenberg Worldwide Radio, the New York Times, National Geographic, Coastal Living, Florida Travel & Life plus many more, including international travel media. Maybe not, but Pam Rambo today is recognized as one of the go-to people for shelling in Southwest Florida — and has been a featured contributor to Good Morning America, the Travel Channel, Peter Greenberg Worldwide Radio, the New York Times, National Geographic, Coastal Living, Florida Travel & Life plus many more, including international travel media. But few endeavors to bring the love of shells to the world can top her amazing creation for the first National Sea Shell Day on the first day of summer in 2016. Working with Lee County VCB staff that conceived the holiday as a way to put a spotlight on Southwest Florida, Rambo volunteered to come up with the big idea. After two days, it hit her: a huge shell sculpture that was mobile, capable of spreading the joy of shelling anywhere. 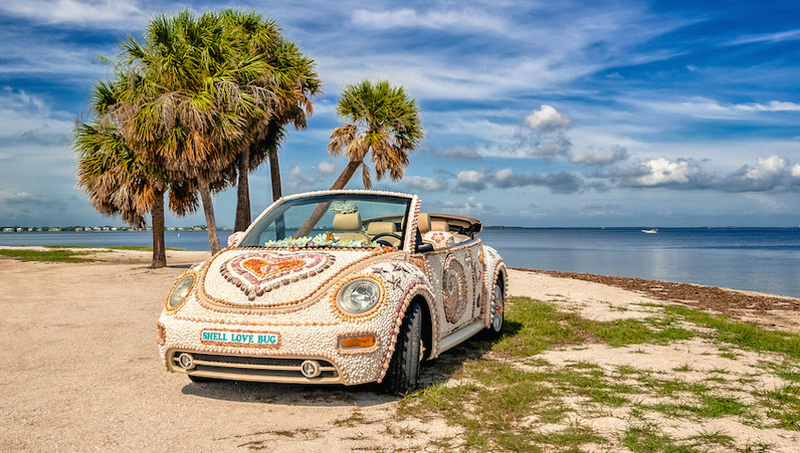 The result is the “Shell Love Bug,” a Volkswagen Beetle beautifully decorated in more than 20,000 native shells with (appropriately) a Junonia in the center of the heart. “I came up with the idea and the design, and every single one of those 20,000 shells was collected in Southwest Florida,” she says. “Sixty-five people were involved in the project, including the Sanibel Shell Crafters, and in the end it was a 1,200 hour labor of love.” The Shell Love Bug is now the property of the Visitor & Convention Bureau and is seen at many tourism events, where crowds gather in amazement at the beauty and detail of this moveable art. In the end, however, Pam Rambo is simply a woman who loves shelling, and loves sharing that passion with other like-souled individuals. “We walk the beach every day,” she says, “sometimes at sunrise, others at sunset. The best time is whenever you aren’t rushed, because the beach truly is therapy. Everything else disappears.